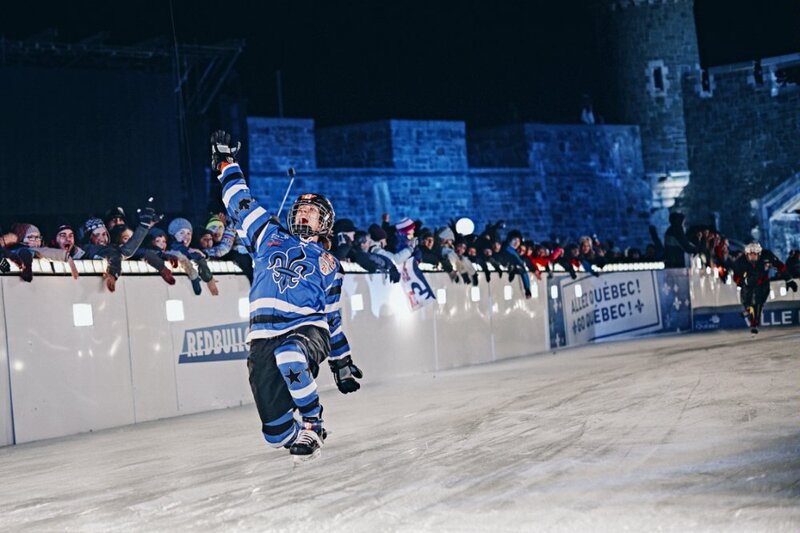 Despite missing two events last season, Myriam Trepanier managed to finish in fourth overall in the women’s standings for the Red Bull Crashed Ice championships. This season she has been healthy enough to compete in all four events, and she is looking to make St. Paul the crown jewel on her way to the 2015-2016 title. Entering the final competition of the season, Trepanier trails Jacqueline Legere by just 160 points, 2250-2090. She knows she needs a big performance in Saturday’s finals to top her fellow countrywoman and she came up big on Friday, grabbing the pole position for tomorrow night’s competition by winning the Shootout in a time of 35.84 seconds. That gave her a 0.06 second advantage over American Alexis Jackson. Legere finished in third, 0.96 seconds behind. While originally from Quebec City, the St. Paul event will occur before a home crowd for the 29-year old. Trepanier’s family moved to Minnesota when she was six, and she calls Minneapolis her home now. She even played hockey for the University of Minnesota – Duluth and was an NCAA Division-I champion with the team in 2008. In 2014, Trepanier entered the Crashed Ice events and last year finished seventh in both competitions she competed in. This season has been an entirely different story. She won the opening competition of the season in her birth place, Quebec City, before finishing in second in Germany. A disappointing ninth place finish in Finland allowed Legere to move ahead of her in the standings, setting up for a dramatic race Saturday night. Alexis Jackson was the highest placing American in the Shootout. She finished in second, just 0.06 seconds behind Trepanier. Jackson is coming off an impressive win in Finland and is currently ranked fourth overall in the Red Bull Crashed Ice Championship standings. A win here could move her as high as first depending upon where Legere, Trepanier, and Elaine Topolnisky finish. Topolnisky, also from Canada, is currently ranked third in the world but did not finish either of her two runs in the Shootout. This has opened the door for Jackson to at least move into third in the world and to do it on her home soil. Four Canadians and three Americans finished in the top eight, with Switzerland’s Anais Morand grabbing the eighth position in the finals. Several of the women’s skaters did not finish their runs. It was a tough day on the track as unusually warm temperatures in St. Paul made the course a difficult one, especially for later skaters. The ice became quite choppy and slushy, making it difficult for the skaters. Tomorrow’s competition may not be much better as temperatures are expected to be in the high 40s by the time the finals begin.